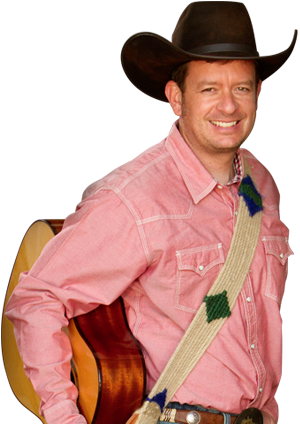 For more than two decades, Brenn Hill has stood under a cowboy hat and behind a microphone on countless stages entertaining audiences, blending his voice with bending guitar strings in a performance style all his own. The songs he sings are also mostly his own, earning Brenn recognition as one of the premier musical chroniclers of cowboy life. As a young singer and songwriter, Brenn learned to wield a pen and guitar pick long before learning to handle a razor blade. Many of his early compositions—“Call You Cowboy,” “Roundup Fire,” “Burnin’ Hair”—reflect a love for and knowledge of the West well beyond his years. These songs, and others from his repertoire, are already entrenched in the cowboy songbook and well on the way to taking their place among the timeless classics. But owing to age and experience developed over the course of a dozen albums while coming to terms with more than his share of life’s travails, Brenn’s songwriting has matured—and soared. While his long-lived love for the West and cowboy ways continues in his more recent compositions, like a skilled, seasoned poet he uses lyrical language to peel back the layers of life to reveal a deeper, more meaningful, more affective, more effective, understanding of our world. As those lines reveal, Brenn Hill is far from the dispassionate, steely-eyed cowboy of legend. He is quick to acknowledge in song the deep, raw emotions that drive us, to recognize the influence of others in our lives, and to accept the role of a higher power in events both miraculous and mundane. And, most of all, Brenn lays bare in his music a willingness to set aside the fiction of cowboy stoicism and wear his heart out on his chest. Brenn lives with his wife and three children in Hooper, Utah, where he performs a complicated balancing act. Between keeping the home fires burning, cheering from sporting field sidelines, going horseback for fun, negotiating a busy performance and travel schedule, and working in the recording studio he still manages to find time to write.